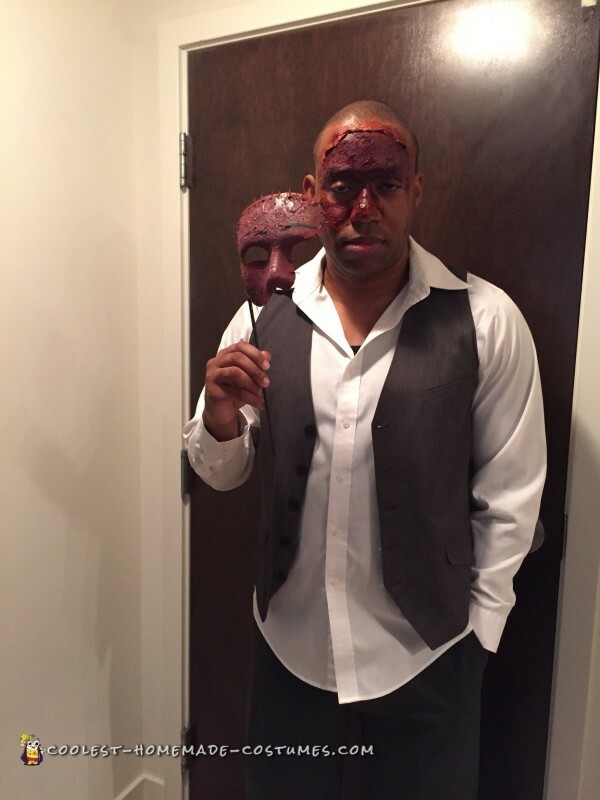 Masquerade Parties are always fun but for Halloween tis year, we decided to add a twist by ripping the skin off our face which were the masks. We got so many compliments from this look! To accomplish this look, it requires two plain white masks. I opted for the regular eye mask style while my boyfriend did a different version. 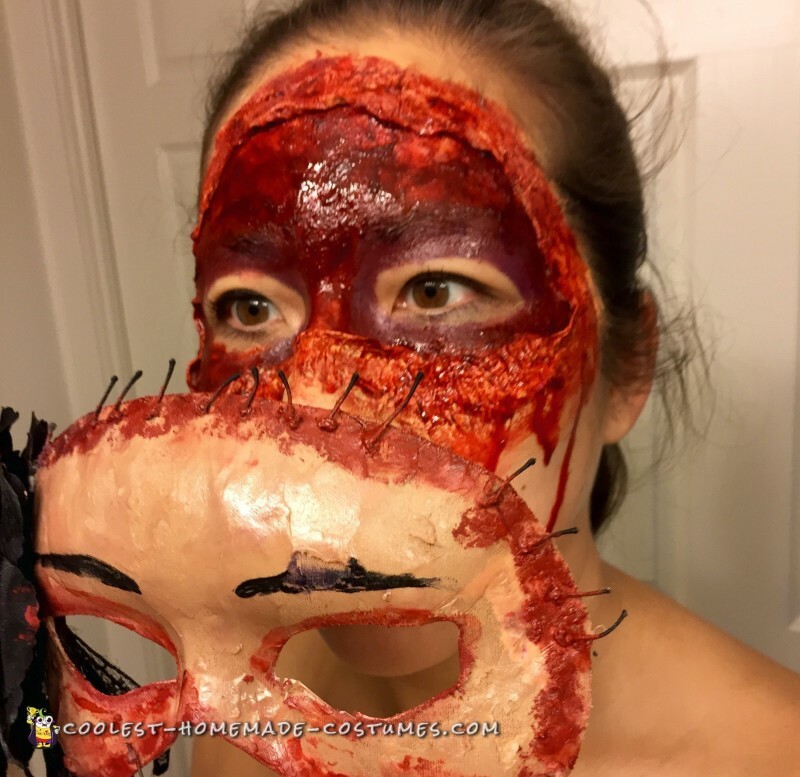 The masks were covered with a variety of paint, liquid latex, makeup, and blood. I used black string in small pieces around the edges to appear as “stitched”. Staples can be used for the same effect. I had to be sure to try to get the complexion for myself and him as close as possible. 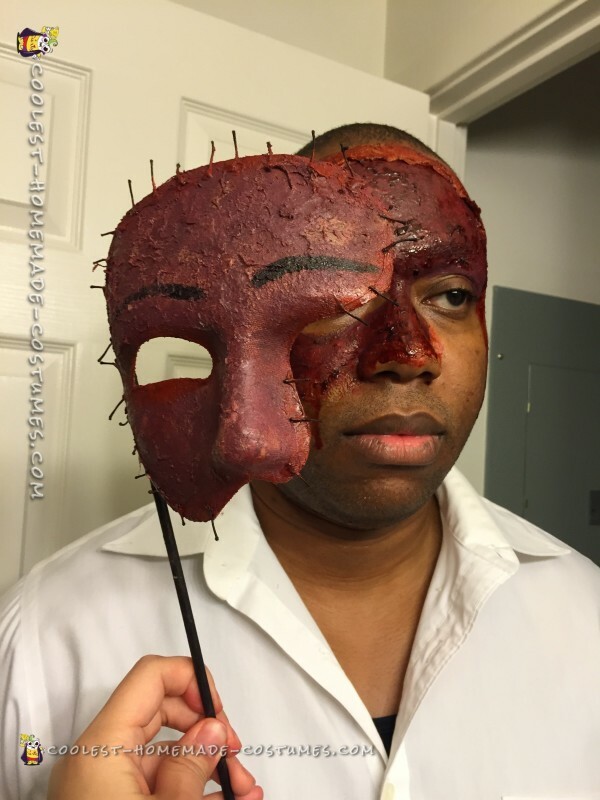 For the face, liquid latex and layers of tissue were used to create the effect of the skin being ripped around the edges. Cream makeup in brown and dark red were used as a base. Dark blood gel and liquid blood were used to cover the areas. The hardest part was making sure not to get liquid latex in my hair! This look was actually not that difficult to do. The key is to make sure to do a variety of red makeup shades to get the variety of red shades so it looks natural. This was the first time doing makeup like this! And it turned out great! Clothing can be anything but something dressy would look nice! We went to a local event and many people kept coming up to us saying how realistic and scary our costume was. The event was sold out, with many great costumes everywhere, so I was glad that we were complimented so often on ours! 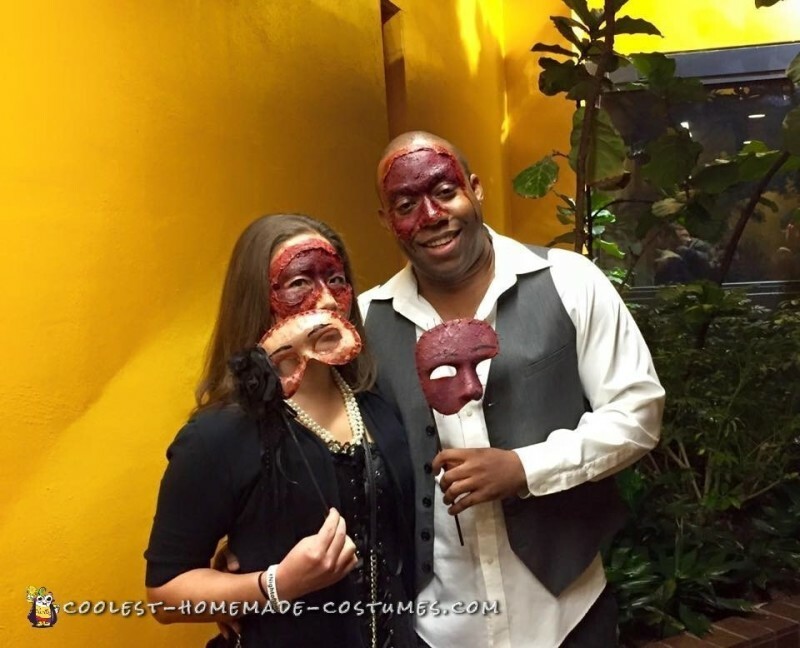 We had a blast putting the masks to our face and taking it away when we had people approach us. A definitely scary success!